Lava fields, one of the most popular attractions on the Big Island. The Big Island of Hawaii is vast. And for the adventurous traveler, this means there are numerous things to see and do when driving. Here are some of the venues where you can find great attractions on the Big Island. 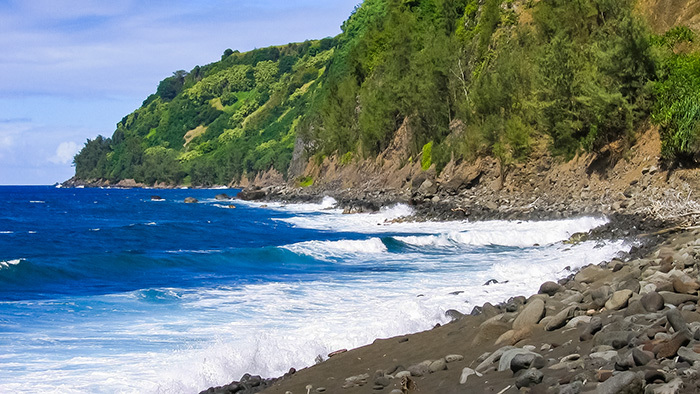 Starting from Kona and heading towards Waimea, there are many places to stop along the way. 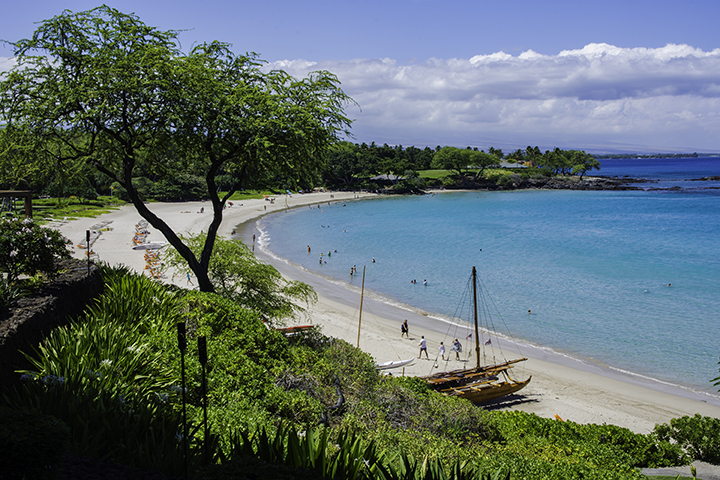 Here, there are a number of fabulous white sand beaches, such as Hapuna, Spencer and Mauna Kea. Pause amid the rolling green hills at Parker Ranch. Established in 1809, it is one of the largest ranches of its kind in the entire US. At Parker Ranch, you can experience the paniolo or Hawaiian cowboy tradition. Along the North Kohala Coast, you can find Pu’ukohola Heiau, one of the largest Hawaiian temples. Kamehameha the Great ordered the construction of this heiau in 1810 to fulfill a kahuna’s (a Hawaiian priest) prophecy. It predicted Kamehameha would rule over all the Hawaiian Islands if he built the heiau, which he eventually did. Nearby, you can visit the town of Kapa’au, where King Kamehameha was born. In this town, you can view the first statue ever made of him. Sculpted in Europe, it was supposed to be permanently erected in Honolulu. But it was lost at sea, then later found and permanently located here. If you have time, explore the Pololu Valley trail. This trail features fresh fruit trees along the path and leads down to a striking black sand beach. Rugged beach at Waipio Valley. Stop by the Waipio Lookout to view scenic and historic Waipio Valley. This is where the final scene of the movie Water World, staring Kevin Costner was filmed. The valley, known as the Valley of the Kings, was once the residence of Hawaiian royalty. It was also the boyhood home of King Kamehameha. The road down to the valley is one of the steepest in the country. As a result, it should not be tried unless you have a four wheel drive vehicle. Nearby is Akaka Falls State Park where you can view two gorgeous waterfalls. And the Hawaii Tropical Botanical Gardens is where you can explore over 2,000 species of plants. Locals call this scenic by-way Red Road. Here, you can visit the Ahalanui hot ponds. They are mesmerizing geologic features caused by the ongoing eruptions from nearby Kilauea Volcano. Travelers can soak in the warm waters of Ahalanui pond as well as enjoy the surrounding park area. Recent lava flows largely covered this area. It completely engulfed the town of Kalapana and its beach during the 1990s. Today, there are only a few remnants of the town. 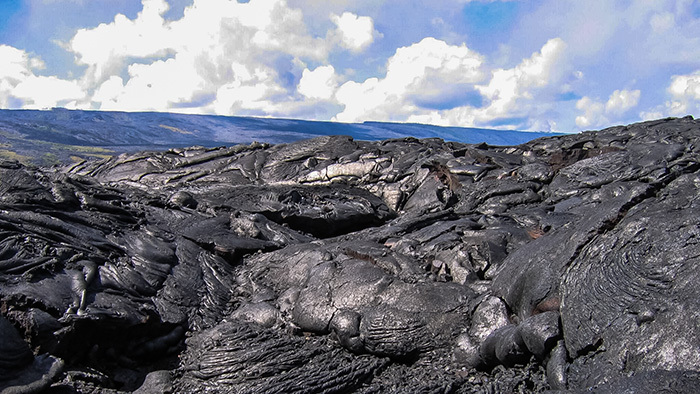 But there is a viewing area in Kalapana where you can hike to an active lava flow. The drive will also take you through the famous tree tunnels of Puna. It will take you past lava-covered roads and the Kaimu black sand beach. 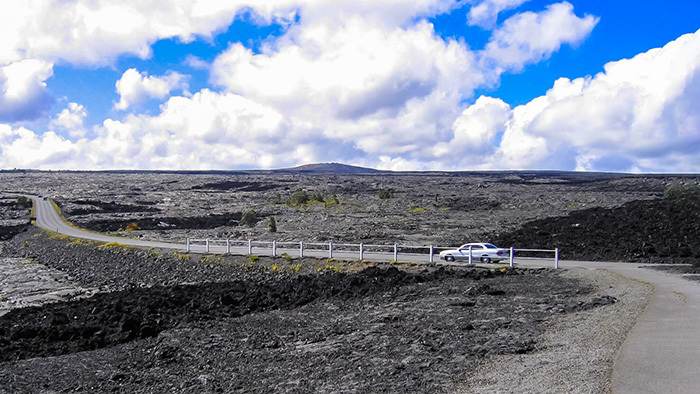 There are two main roads within Hawaii Volcanoes National Park. This might be one of the the most interesting attractions on the Big Island. The first one is the Crater Rim Drive. It goes past the visitor center, Kilauea Crater, Jaggar Museum and the Thurston Lava Tube. The second one is the famous Chain of Craters Road extending about 19 miles in the park. This road offers a superb opportunity to get closer looks at other volcanoes and lava flows along the active East Rift Zone. Also it offers views of ancient Hawaiian petroglyphs and panoramic vistas of lava flowing into the ocean. Plan to leave ample time for pulling over and exploring the landscapes on foot. This road covers a range of 4,000 feet in elevation right down to sea level. Here, you can hike to the lava flows as well as view an elephant trunk-like lava formation called the Holei Sea Arch. Pu’uhonua a Honaunau National Historic Park. Driving through the Kona area will take you through seacoasts, historic sites and expansive coffee farmlands. Start at historic Kealakekua Bay. This is where a local chief and his warriors killed the famous British explorer, Captain Cook. The bay is a great place to relax and snorkel. Nearby there are many coffee plantations along the “Kona Coffee Belt.” Here, many farms offer tours, free samples and plenty of facts about the process of growing and cultivating coffee. 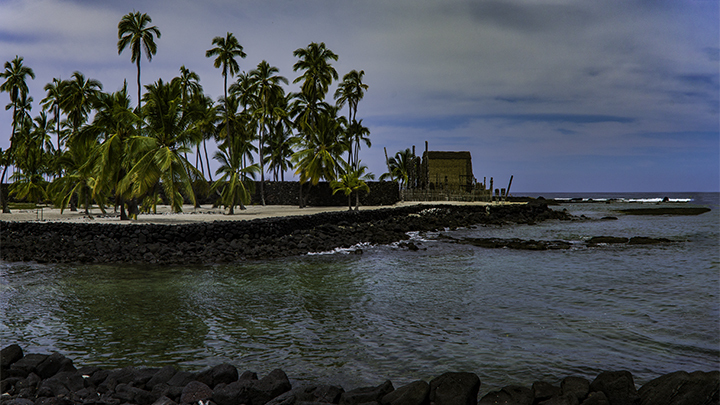 Another great attraction in this area is the Pu’uhonua a Honaunau National Historic Park. This is an ancient Hawaiian heiau, where lawbreakers and defeated warriors could take refuge from their pursuers and is rich with cultural significance. It may be one of the most historic attractions on the Big Island.